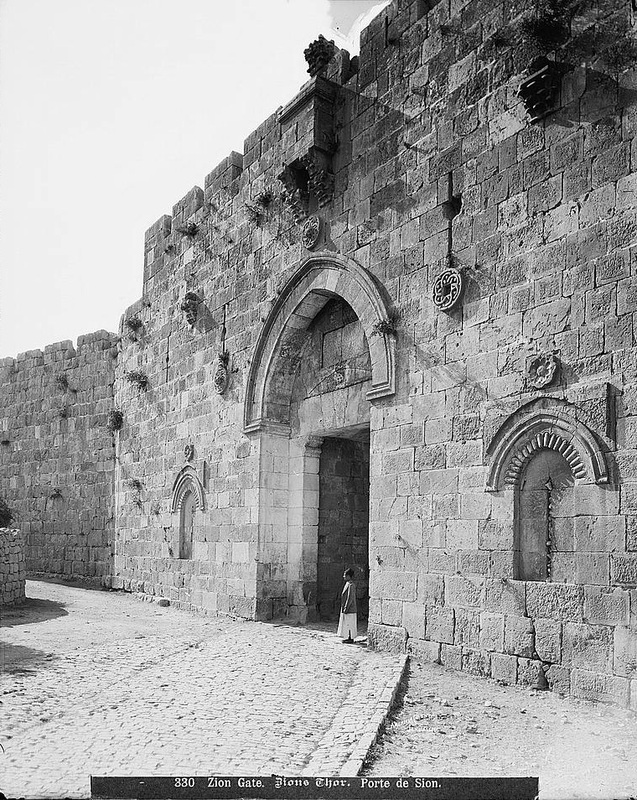 The wall of Jerusalem's Old City that we see today was built in 1540 during the days of the Ottoman Sultan, Suleiman the Magnificent. 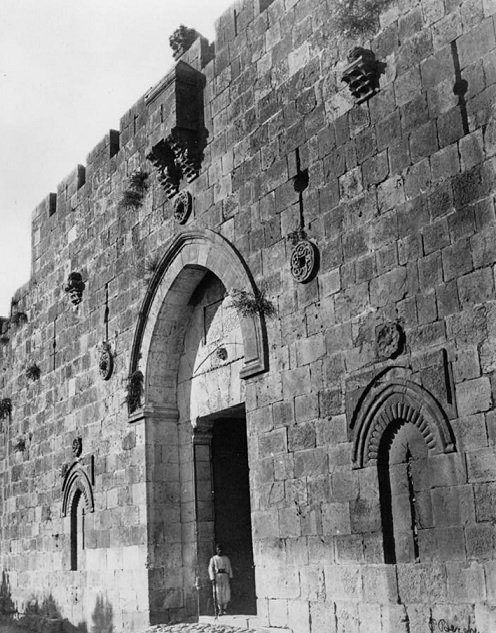 relieve the Jewish Quarter besieged by the Jordanian Legion. 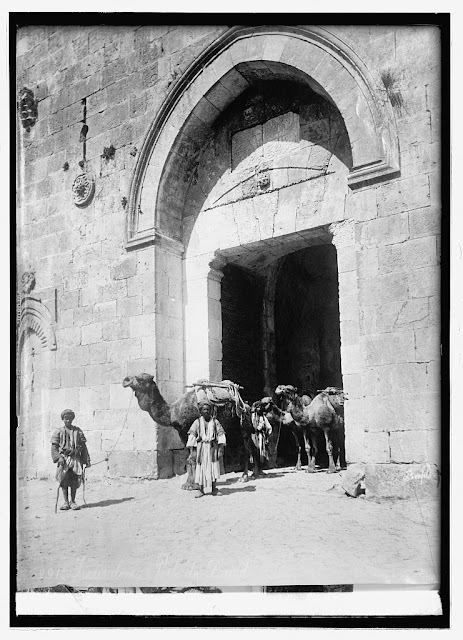 Zion Gate (circa 1898) The photo was captioned "Jerusalem"
Meyer, was an active photographer prior to that date. Located between Mt. 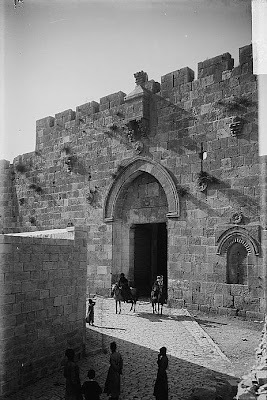 Zion and the Jewish and Armenian Quarters, the gate was the setting for fierce fighting during the 1948 war. A small Palmach force, commanded by David "Dado" Elazar (later IDF chief of staff in 1973), attempted to break through the gate on May 1948 to relieve the besieged Jewish Quarter. They were met with stiff resistance by the Jordanian Legion and were forced to withdraw. On May 28, 1948 the Jewish Quarter surrendered. 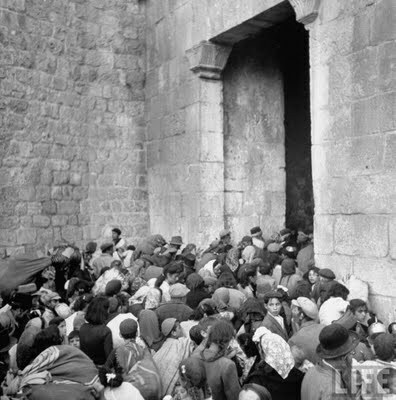 Jews were expelled through Zion Gate and didn't return until the city of Jerusalem was reunited 19 years later in the June 1967 war.